Costumes are extremely important for superheroes. When they don a suit, they get in the right mindset to defeat the bad guys. The new ‘Avengers: Endgame’ trailer finally unveiled the innovative outfits that were revealed by previously-released merchandise, but there is something that most people might not have noticed about them. Let’s find out what makes them special. Despite the importance of costume for most superhero stories, Marvel has been very relaxed about them. Characters like Iron Man, War Machine, and Ant-Man need specials outfits because that’s where their powers come from, but others like Captain America, Black Widow, and Bruce Banner have no need of anything distinctive. However, special ensembles have been part of superhero lore for ages. Superman was not considered Superman until he removed his glasses and changed his reporter suit for the costume with the big “S” on his chest. 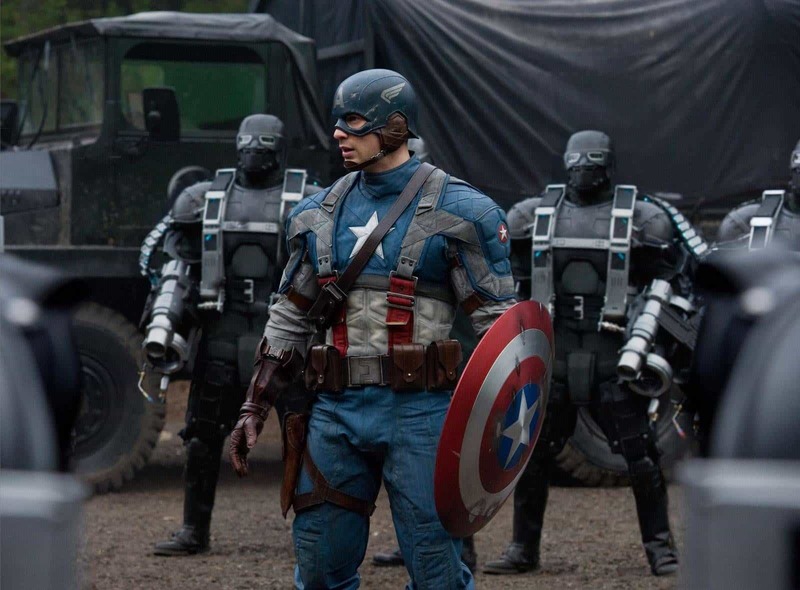 Captain America has an iconic outfit that makes Americans feels patriotic while watching him fight against terrorists. When it comes to the MCU, most characters wear regular clothes until it’s time to fight, and some have special suits while others, like Black Widow, just don black. Luckily, the new trailer for ‘Avengers: Endgame’ revealed that the remaining Avengers – those that survived the Decimation – had brand new outfits on. These suits have been speculated about for several months as some ‘Avengers: Endgame’ toys were released early overseas, and they had them on. Aside from this being the first time that the Avengers are rocking a coordinated uniform, the black, white, and red color-scheme is amazing. They are also smooth and sleek, unlike most of Tony’s get-ups which tend to be flashier and metallic. Iron Man likes to make his armors bigger and deadlier. There has to be a specific reason why the Avengers suddenly decided to look like a real team this time. After all, they have all kinds of worries at the moment; so it’s unlikely that they would be concerned with their brand. All they care about right now is saving the universe. Therefore, the logical conclusion is that the new armors have a specific function. If they have some sort of new technology, then Wakanda immediately comes to mind. But, the people of the African nation are probably recovering from the final battle shown in ‘Avengers: Infinity War’. Furthermore, they lost T’Challa and possibly Shuri, their best assets. 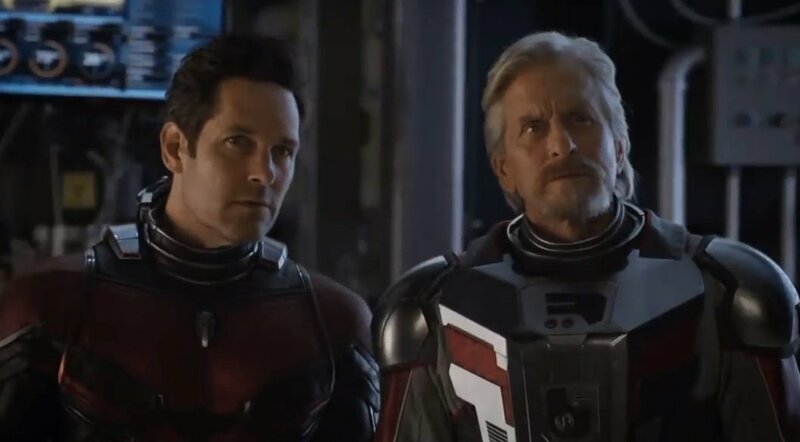 On another note, the suits look very similar to that worn by Hank Pym when he entered the Quantum Realm. Unfortunately, he turned to dust after Thanos’ snap as shown in the mid-credits scene of ‘Ant-Man and The Wasp’ along with his wife and daughter. Scott Lang might be great as Ant-Man, but he is not capable of designing such an outfit. However, he could have shown Hank’s research to some of the smarter members of the Avengers. Bruce Banner returned to Earth during ‘Avengers: Infinity War’, and he might know what to do with the materials. Also, the new trailer revealed that Tony and Nebula have also returned from their predicament aboard the Benatar. The big theory regarding the next film claims that the Avengers will enter the Quantum Realm. Some fans believe that the time vortexes Janet warned Scott about will be used to time travel, but there could be another reason. The problem is that you cannot just enter and exit the Quantum Realm at will. First, the person has to be sub-atomic, which is extremely dangerous, and getting out is also tricky. Janet Van Dyne spent decades trapped inside it. Examining the new armors closely, it’s easy to tell that they are not just alike, but almost a duplicate. They have to have similar functions and probably most than that. The trailer confirmed the appearance of the suits, but as mentioned earlier, fans saw them months ago. 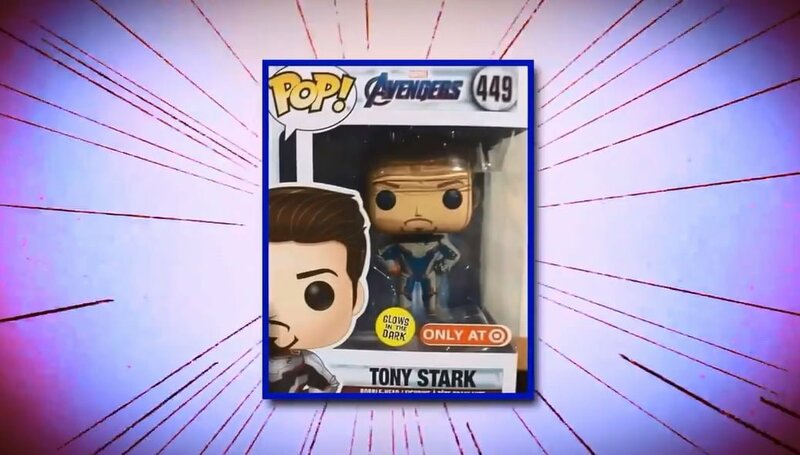 A Tony Stark Funko POP figurine was released where he rocked the new ensemble. It looks exactly like the one Tony is wearing in the footage, but the toy actually reveals more. 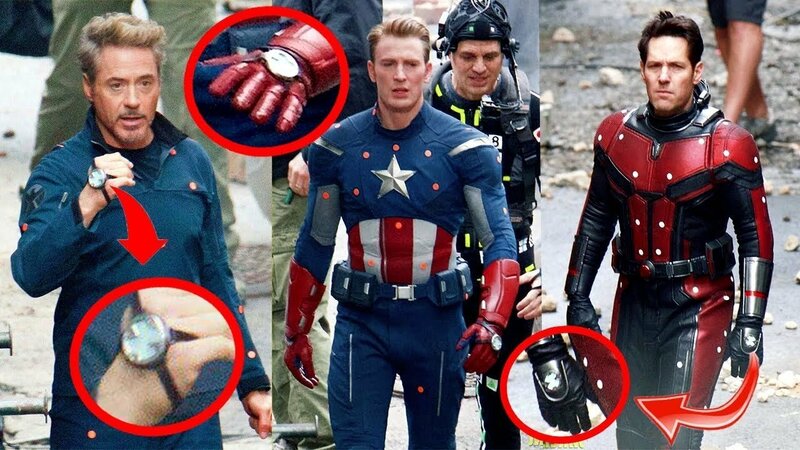 There is an odd gadget on his wrist that is exactly like the ones the actors were using in some leaked photos of the reshoots for ‘Avengers: Endgame’. Consequently, they are probably one of the most important details of the new suit, although the trailer did not show them. On the other hand, Ant-Man’s suit did not have anything similar. The controls of his outfit were on the belt. Of course, the new design could have changed that aspect, but it’s more likely that they have another purpose. If they are not needed to enter the Quantum Realm, their real use could have something to do with the reason they are going into that plane of existence. The accepted theory is that ‘Avengers: Endgame’ will have time travel so that they can get the Infinity Stones before Thanos. However, other fans think that the Avengers will make copies of the gems. 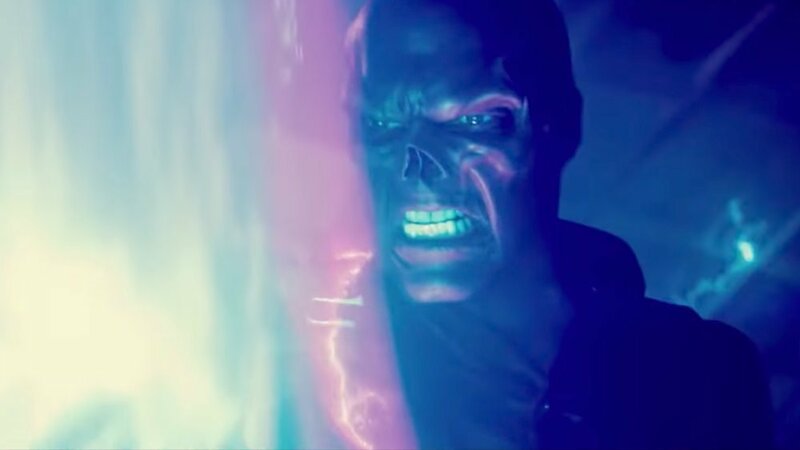 Either way, Red Skull perfectly exemplified the fact that not many can hold the precious jewels in their hands. The wrist gadgets could have been designed for that purpose. However, each device might only be able to hold one stone. Another interesting notion is that they hold the fancy new armor. As evidenced in ‘Black Panther’ and ‘Avengers: Infinity War’, the superheroes can now shrink their outfits with the use of nanotechnology. Tony has his Iron Man armor in his Arc Reactor. It would explain why the leaked photos showed them in their normal suits. If their only use is to enter the Quantum Realm, they probably do not need them later for battles. However, they might have another unknown utility; otherwise, why would Scott Lang be wearing it too? Ant-Man was able to get into the Quantum Realm and out unlike most people. He might have wanted a suit to coordinate with the team, but realistically, it’s probably because the suit is better than Hank’s original design. 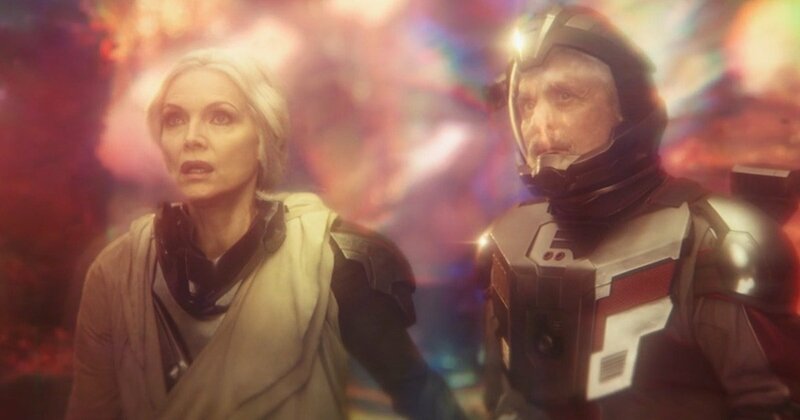 While time traveling could be the major plot point of ‘Avengers: Endgame’, our heroes might have to go to Space once again. The Iron Man suits apparently withstand that kind of travel, but others do not have similar armors. Another clue that points towards this functionality of the new outfits is that Captain Marvel and Thor are not seen with them. Thor can travel all over space thanks to Stormbreaker, which can summon the Bifrost, and Captain Marvel uses her own suit to travel through galaxies without a problem. Another missing character during that part of the trailer is Rocket Raccoon. He might not need the outfit, or maybe, he was excluded from the shot because of his height. In any case, Thor and Captain Marvel have very different priorities, which could explain their absence from the infamous sequence. Thor has to look for the surviving Asgardians that escaped with Valkyrie and Korg. Moreover, there is a chance that Loki might appear once again, especially if Hela was able to escape from Hel once Odin died. Loki could come back from Valhalla or Hel, and not just in a flashback. Meanwhile, Captain Marvel promised to help the Skrulls find a new home, and it has taken more than 2 decades for her to return to Earth. She is probably still busy while trying to stop the Kree’s plans and has most likely earned a lot of enemies as a result. Additionally, the Decimation affected the entire universe, not just Earth. Thor and Captain Marvel have a lot to do elsewhere. The Avengers also have to get busy if they want to reverse Thanos’ snap, and they need to be able to travel through time and space to do so. Let us know what you think of the new suits. If you liked this article, share it with your friends while discussing new theories about ‘Endgame’. See you next time!